My good friend Michael, who you may know as Ssalarn, has been spending a lot of time with Wesley and I on Destiny. We've been running strikes, tidied up the last of the Rise of Iron story quests and even struck out into the Iron Banner. Overall we've played more in the last two weeks than either of us has in the past six months. Our time with Destiny, rough as it has been in the past, seems to be smoothing out a lot for us. Sadly, Wesley and I have not had much luck with the raids. The only one I've ever completed was the Vault of Glass back before any of the other expansions dropped. Since then, every attempt I've made at the raids has been a complete disaster. It is difficult for me to find the time to set aside for a raid, especially when completing one can take upwards of a few hours. Mike understood this and organized a raid group specifically for people who don't have much time for them. We were a gaggle of misfits to be sure, but it was the greatest raid group I've ever been part of. The group consisted of Mike, Wesley, myself and a few other friends and relatives of Mike's. We've all played together here and there, but I think this is the first time since SRL that most of us have played at the same time. Few of us had light levels above 355, so the recommended light level of 370 on the raid was a bit daunting. 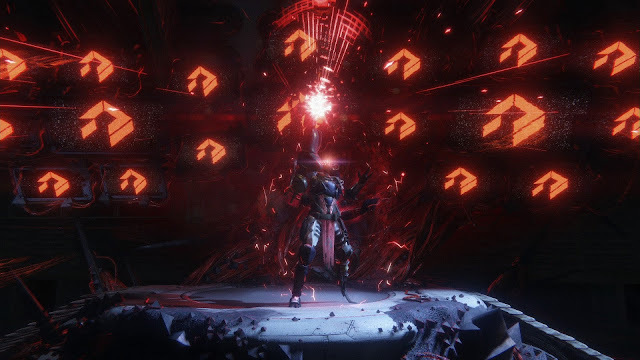 Little did we know however, that the hardest part of the raid would just be getting everyone in the same group. For some reason or another, Wesley and I could not join be in the same fireteam. Apparently there is some issue that Bungie has with people trying to join a fireteam from the same network. I'm not sure exactly what that problem is, but it kept us from joining until we reset our modem and router. Once we finally got in, Mike explained the setup for the first boss to us and got us into position. We fought straight through the first boss without too many problems. 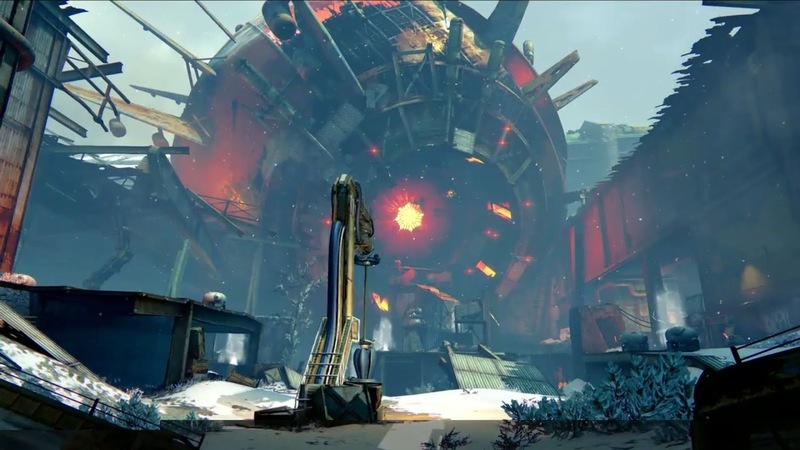 Those of us who were a bit lower light than the others had a somewhat rough time dealing with some of the splicers, but we were able to keep the volt eaters away from our foundries most of the time. Mike was our designated runner, and took the charge to the terminals for all three of the foundries. At one point though, the boss teleported right on top of him, instantly crushing him. After we finished off that fight and the boss retreated inside the complex, we set about conquering the jumping puzzles. Mike assured us that he knew the best way through them, and we all believed him until he told us we had to jump onto the cannon of a suspended tank. It was a ridiculously difficult jump that only two of us managed to make. Luckily, one of our other raid members found a route that allowed him to essentially walk from the beginning of the room to the hallway Mike had jumped to from the tank. This SOB... We'll get you. From there, we moved into the room where we would finally kill Vosik. We split into groups of two again, this time a bit switched up. Wesley and I ended up on the same side this time. I was designated to throw the Siva charges when they dropped, and Wesley did an excellent job of covering me. Taking out the captains proved fairly difficult for us as we were both well under the recommended light level and weren't able to damage them as easily. Our biggest problem as a group though was in dealing with the monitors. At least a half dozen times we wiped because we simply forgot to look for the monitors. That's as far as we got that time. It was rough, to be sure and I'm sure we will get better as we continue to work through the raid. We have another raid session tentatively planned for this weekend, but I don't know if we'll be able to get much farther. I've only been able to gain 1 light level from the gear we got, and while I'm now silly with glimmer and parts, I'm desperately low on materials. I know I'll have to grind for them, but I'm not looking forward to sacrificing the time I could be spending getting higher light gear.